HMRC has confirmed that they now expect to check the business records of a reduced number of businesses as part of their recent Business Records Check (BRC) initiative. The new annual target is 20,000 visits, down from the original 50,000. An additional 90 staff have been recruited to the initial headcount of 30 in order to facilitate these visits. HMRC have confirmed that they will not, initially, be charging fines to businesses who don’t maintain adequate records. However, this will change in the near future so all businesses should be ensuring that their paperwork is now up to date. This recent case has moved the goalposts slightly in respect of employment status/IR35 scenarios. The contracts in question contained the usual substitution and mutuality of obligations clauses which often point away from employment/IR35. However, the Supreme Court decided that the reality of the situation over-rode these contracts. The reality was that the workers had to do the work personally and could not send substitutes. The court also said that the expectations of the parties need to be taken into account; no-one expected a substitute to be used. Also that the bargaining power of the parties should be considered; i.e. was the contract a “take it or leave it” contract? No doubt, the Taxman will be trying to turn this case to his advantage in the near future so beware out there! 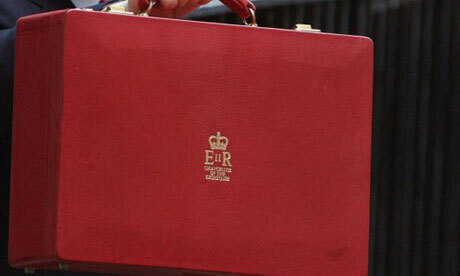 Below is a summary of the Budget changes relevant to small UK businesses and their owners. Small company tax rate to remain at 21% rather than increase to the previously announced 22%. The tax payment service enabling struggling businesses to spread payment of their tax bills is being extended. No changes to the capital gains tax rates (suprisingly). Various minor tax breaks for electric cars and vans. National Insurance is increasing by 1% from April 2011 (a 0.5% increase had previously been announced). This affects employees, employers and the self-employed where earnings exceed £20k pa. The rate of VAT will revert to 17.5% on 1 January 2010. The Flat Rate percentages will also increase by varying amounts. A 50% supertax will be charged on bank bonuses in excess of £25k per employe (some may argue this should be a Good News item!). Company cars will become slightly more expensive as the benefit bands have been shifted down by 5g/km of Co2. The stamp duty exemption on the purchase of most residential properties has been reduced from £175k to £125k. A telephone landline tax of 50p per month per line is being introduced from 1 October 2010 to pay for faster broadband speeds. Further details on the less common taxes can be found here and changes announced in the April 2009 Budget can be found here. The new penalty regime for errors on tax returns commenced on 1 April 2009. Mistakes on returns will be penalised depending on the behaviour of the taxpayer which led to the inaccuracy. Where the taxpayer has taken reasonable care to ensure that his return does not understate the tax due, there will be no penalty. It would seem that HMRC does now understand that “people do make mistakes” but that provided everyone takes reasonable care, an innocent mistake will not be punished. Where the error arises through carelessness, and the taxpayer did not take sufficient care over his return he will be liable to a penalty of 30% of the tax understated. Where the taxpayer comes forward and notifies HMRC of the error it is possible to significantly reduce the rate of penalty. Depending on the circumstances the penalty can be reduced to nil in the case of an unprompted disclosure, and 15% when the disclosure was prompted. Where the taxpayer deliberately understated his liability the penalties range from 70% for deliberate understatements to 100% for deliberate understatements that have been concealed. Again, larger reductions are available for unprompted full disclosure rather than after a request for information by HMRC. What is reasonable when taking care? All taxpayers are expected to keep sufficient records on which to base their return, and sufficient to ensure that any return prepared is correct. Beyond that, taxpayers should seek advice if they are unsure about something and if they remain unsure should disclose the uncertainty on their return. When a taxpayer has an accountant there is in theory more scope for error in terms of a breakdown in communication between the taxpayer and the accountant. There will be no penalty for careless error when the return is dealt with by an accountant if HMRC is satisfied that the taxpayer took reasonable care but the accountant just made a silly mistake. The 2009 Budget will be on 22 April 2009. Budgets are usually given in March but it has been delayed this year to fall after the G20 world leaders conference when the global economic crisis will be discussed. This does mean of course, that some measures which have effect from 6 April 2009 will not be announced until 2 weeks after the event, but I guess we will just have to mind read the Government…. Below are details of the Government’s newly launched business loan guarantee scheme which is hoped will encourage bank to lend more to small and medium sized businesses. A part-guarantee given to £20bn of short term loans, the Government will guarantee 50% of the loan, amounting to a total commitment of £10bn. Open to companies with turnovers up to £500m. Can be used both to increase existing and establish new loan agreements. The first £1bn of guarantees should be available by 1 March 2009, with the remainder until 31 March 2011. Banks will submit loan details to the Department for Business, Enterprise and Regulatory Reform (BERR) on a “portfolio” basis. BERR will assess the risk of the portfolio and charge the bank a fee for the guarantee – the higher the risk, the higher the fee. This fee is likely to be passed onto the company borrowing the money. Declarations of interest have been received from Barclays, HSBC, Lloyds TSB and RBS. A part-guarantee over £1.3bn of new lending, the government will guarantee 75% of the loan. Companies with turnovers up to £25m can apply for loans between £1,000 and £1m to be repaid over a maximum of 10 years. Existing overdrafts can be converted to loans, which will allow businesses to use their overdraft facilities to fund working capital. The scheme will be open until March 2010. Businesses in the agriculture, fisheries, coal, synthetic fibres and yarns, motor vehicles, shipbuilding, steel and transport sectors are ineligible. The Enterprise Finance Guarantee Scheme will initially be available through Barclays, Clydesdale/Yorkshire Bank, HBOS, HSBC, Lloyds TSB, RBS/Natwest and Northern Bank. 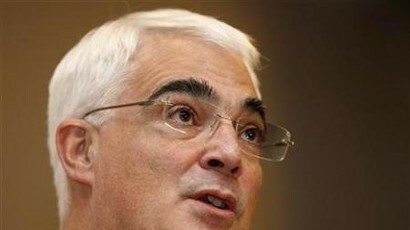 £75m fund, with £50m from the Government and £25m from Barclays, HSBC, Lloyds TSB and RBS. This is designed as a long-term solution for businesses which have exhausted all other forms of funding. Businesses will be able to sell their debt for equity – effectively selling part of the business to relieve the debt burden. Companies with turnovers up to £11.2m and fewer than 250 employees will be able to exchange between £250,000 and £2m of debt for equity. Businesses in Northern Ireland, Scotland or Wales are not eligible. Pre Budget Report 2008 – spend now pay later? 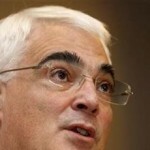 Alistair Darling today announced some significant tax changes in an attempt to mitigate the UK’s forthcoming recession. There were short-term tax cuts but medium-term tax increases. Are the funds in my company bank account safe? This is a question that we have been getting asked alot recently. It is possible to get more protection if you spread your funds around several banks. However, two banks that are owned by one parent company, where only the parent is authorised by the FSA, will only be covered for £35k over all of it’s group bank accounts. Therefore ensure that you spread your deposits across different UK banks with separate FSA registrations. For example, having one account with Barclays and another one with HSBC each holding £35k of your savings, will enable you to benefit from a guarantee on £70k. New guidance has been issued by the Taxman on what expenses can be claimed by the self employed when they work from home. Pro-rating costs involves calculating the % of your home used for the business and the % of time per day each room is used for business purposes. Tax Blogger is a web log for UK small businesses. You will find tips on saving tax, the latest tax and business news, tax loopholes and useful links.